Director John Frost (Romero) is putting on a show in Edenborough, Scotland, but doesn’t have a funds to do it. When a rumor starts that chorus dancer Janet Jones (Vera-Ellen) is engaged to greeting card millionaire B.G. Bruno (Niven), John makes Janet the lead with hopes that Bruno will put money in the show. -When screened in the United States, a gag involving a kilt had to be cut, according to Banned in the U.S.A.: British Films in the United States and their Censorship, 1933-1966 by Anthony Slide. 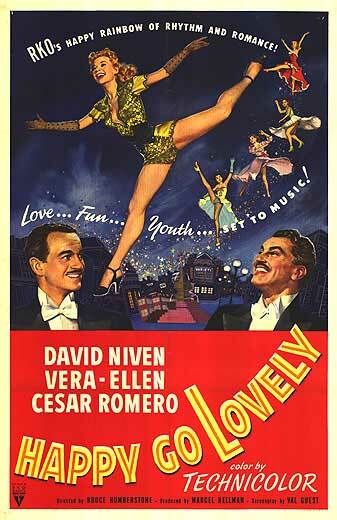 -Vera-Ellen’s singing was dubbed by Eve Boswell, a singer popular in Great Britain in the 1950s. There are some first time film watching experiences that you remember and sometimes reflect on. “Happy Go Lovely” is one of those for me. Sometimes I randomly remember laying on the couch on a Friday, fall afternoon after coming home from high school. It was the weekend and I was ready to relax with classic films. That film binge started with “Happy Go Lovely.” I loved it then and I love it now. It’s a silly, and simple plot and it’s largely forgotten. I think that it’s not as recognized today by American audiences since it was made in Great Britain with stars popular in America. This is a fun little cinderella story that starts with a big misunderstanding and a rumor which eventually becomes reality. I always enjoy seeing Vera-Ellen on screen. We only had her in films for such a brief time: her career spanned from 1945 to 1957 with only 16 film and TV appearances. She always had a glittering prescience and is one of the best dancers to ever grace the silver screen. Then we have David Niven. Niven is always charming, humorous and seems sincere in his acting, regardless of the role. And to top it all off, we have Cesar Romero! For a little British musical, “Happy Go Lovely” has a fun cast with a few laugh out loud moments and catchy songs. And it’s in Technicolor. 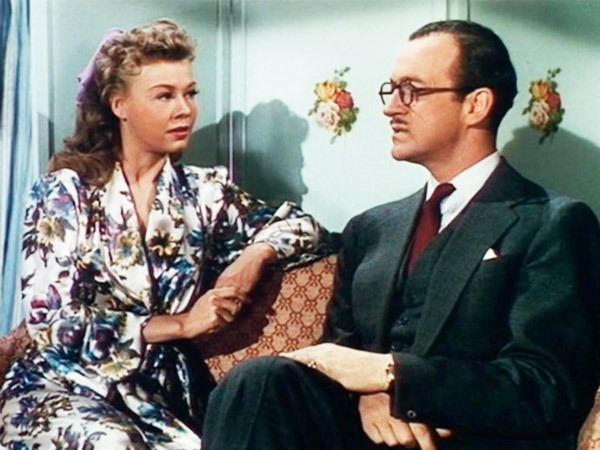 This entry was posted in Musical Monday and tagged david niven, Happy Go Lovely, Musical Monday, Vera-Ellen by Jnpickens. Bookmark the permalink.